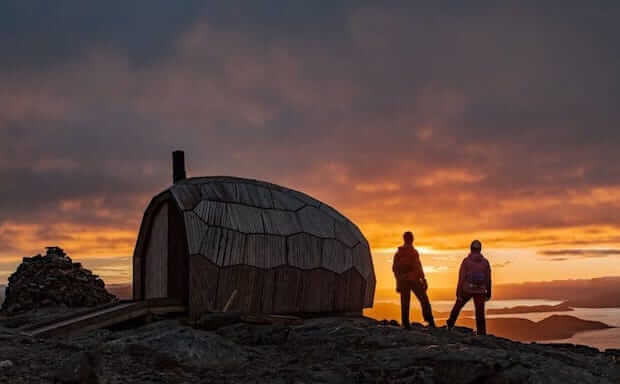 This cabin in Hammerfest, Norway was built as a haven for trekkers. It is designed to withstand the harsh Arctic weather and is a much-needed opportunity for adventurers to catch their breath. Inside the cabin, trekkers can rest on the comfortable seats by a wood-burning stove. 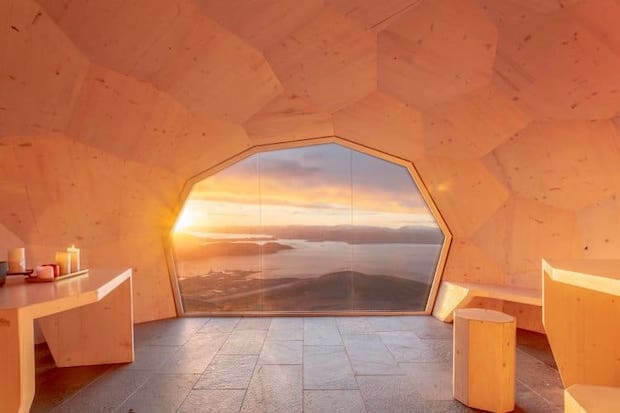 There is a large window that provides a breathtaking view of the beautiful Norwegian landscape. 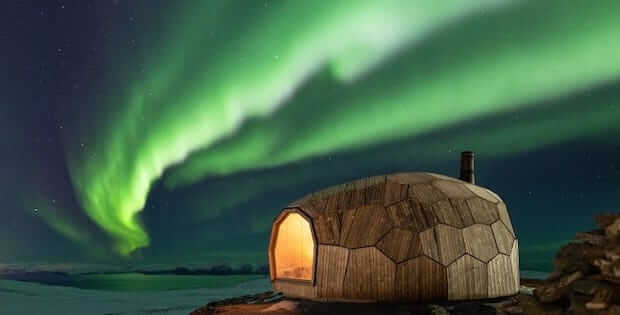 With this cabin, adventurers will get to experience both the challenging cold and the soothing warmth Norway has to offer. 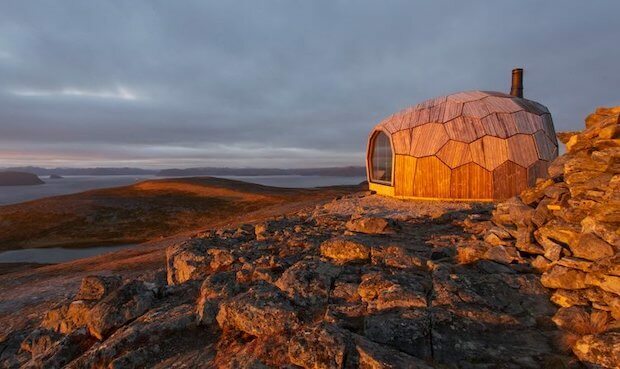 Conceived by SPINN Arkitekter, the cabin was designed to blend with the landscape. This effect was achieved through an incredible amount of research, including the use of a drone and photogrammetry software to create a 3D map of the site. The cabin’s outer shell is made of 77 wood timber shapes that fit together snuggly like a puzzle. This is the first of two cabins commissioned, with the second to be constructed on the other side of town.